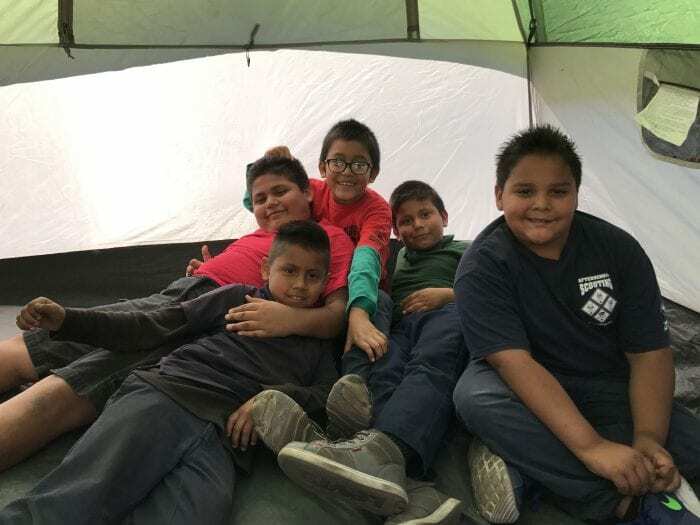 ScoutReach is a values-based, after-school program of leadership skills and character education designed to make Scouting available to at-risk, disadvantaged youth in the greater Long Beach area, at no cost to them. Parental involvement, often not available, is not required, but encouraged. Nearly 700 disadvantaged, at-risk youth in the greater Long Beach area are able to belong to something bigger than themselves, gaining skills, confidence and teamwork abilities that will continue to serve them for life. In the current school year, ScoutReach operates in 27 schools, three parks and one community center, serving 782 low-income, inner-city youth with 33 programs including Cub Scouts, Boy Scouts, and a co-ed Venturing program for teens. With financial assistance, we are able to offer ScoutReach participants memorable camping experiences. Most inner-city youth have never set up their own tent, cooked a hot meal outdoors, or seen the sunrise over a mountaintop. The program is conducted by trained adult leaders, maintained at an 8 to 1 youth to leader ratio. The goal is create a good value system. character development and leadership ability training in our youth while having fun. All costs for the program (staffing, supplies, handbooks, uniforms, registrations, field trip transportation, snacks and more) are funded by grants from corporations, foundations and private individuals, so the program is delivered at no cost to the youth involved and no parental involvement is required. Long Beach Unified Elementary Schools: Addams Elementary, Chavez Elementary, Dooley Elementary, Edison Elementary, Garfield Elementary, Gompers K-8, Harte Elementary, Herrera Elementary, Hughes Middle School, Huntington Academy, Lindsey Academy, Madison Elementary, Mann Elementary, Muir Academy, Nelson Academy, Riley Elementary, Roosevelt Elementary, Smith Elementary, Stephen Middle School, Washington Middle School, Webster Elementary, Whittier Elementary, Willard Elementary. For more information, contact Sherry Martinez at 562-427-0911 ext 244.